The Riccio Hotel, is a brand new three stars family managed hotel, inaugurated in June 2000 and opened all year round. It is located in a lovely position near La Maddalena city center (about 0.6 miles from the central harbour) and not far from its wonderful beaches. The hotel is wide and bright, has a small bar near the reception, a confortable room for breakfasts and also a wide private parking area. 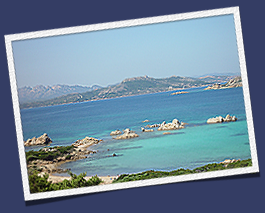 La Maddalena island is the biggest of the group of islands forming the famous archipelago (Caprera, Santo Stefano, Spargi, Santa Maria, Budelli and Razzoli); recently it also became a well-known National Park.